"Do you want to win or do you want to be right?" 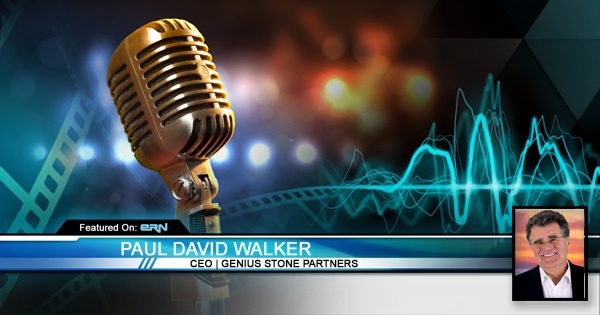 Alan Taylor of Inc. Radio and Paul David Walker, CEO and Founder of Genius Stone Partners talk about how to invent your future from their years of experience. This show is both practical and inspiring. Compelling Pictures: Paul David Walker joins Inc. Radio to talk about personal branding and knowing your audience. The key is to have an authentic (but short) story that others can relate to that paints a compelling picture. In honor of Memorial Day, Paul David Walker (@PaulDavidWalker), CEO of Genius Stone Partners, presents two poems he has personally written to remember his fallen friends. The first one, titled "Gravedigger," can be heard in this segment. Join us in the next segment to hear more. Memorial Day Tribute: "Buried Things"
We continue our Memorial Day dedication with Paul David Walker (@PaulDavidWalker), author of "Invent Your Future." Paul shares his hauntingly beautiful poem, "Buried Things," and reminds us that it is okay to mourn. This coming Memorial Day, take a moment to say thank you, and remember those we have lost to the battlefield. Humility is not a weakness. Paul David Walker (@PaulDavidWalker) and Alan explore the idea of humility in the workplace, and how it can help you as a leader and a human being to remember to be righteous. More on this can be found in "The Climb," an article written by Paul.